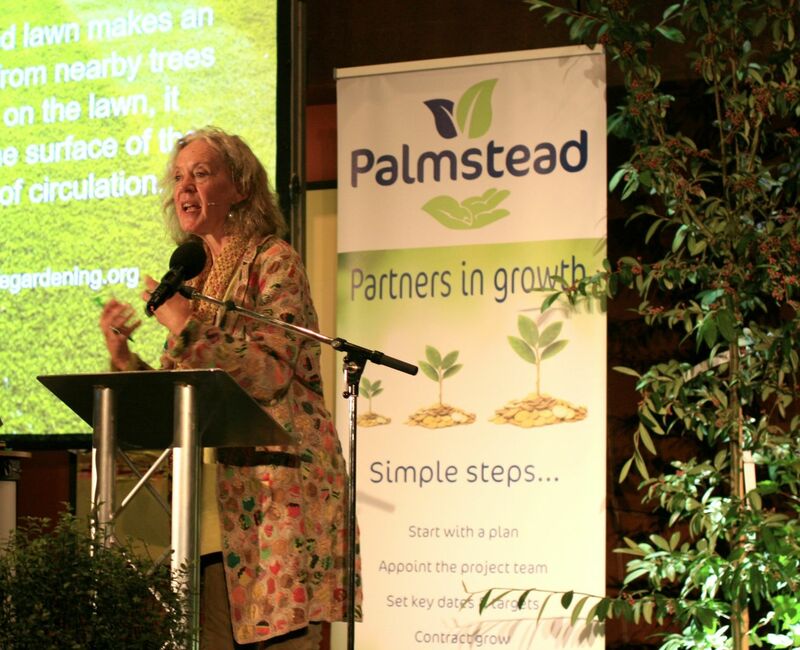 Health and wellbeing were the topics tackled at this year’s Palmstead Nurseries soft landscape workshop, titled ‘What have plants ever done for us?’. Speakers looked at both the positives and negatives of working with plant, with the first speakers issuing a warning about unsuitable plants. Shenagh Hume and (SGD award-winning designer Jackie Herald spoke about high-pollen plants, allergies and asthma and referenced the problems caused by the proliferation of silver birch trees in urban areas. Following a career in medicine, treating people with severe allergy and asthma in the UK’s largest allergy centre at Guy’s Hospital in London, Shenagh Hume qualified as a garden designer. She told the audience that her first assignment as a garden design student had a brief which included the very trees she had been injecting her patients against: the birch! The duo introduced the audience to the OPAL scale devised by American Tom Ogren, explained in his book The Allergy-Fighting Garden. The scale measures the allergenicity of plants on a scale from 0 – 10, with 10 being high. Herald and Hume use Ogren’s scale as a guide and don’t incorporate plants in their designs that score higher than 5 on the OPAL scale. Herald urged the delegates to look at the botanical basics, saying: ‘It’s important when you’re selecting plants to look at the science – of course it’s about making beautiful landscapes – but in order to get those health benefits we need to look at the science. Dr Mark Spencer, a forensic botanist, looked at biodiversity and warned of the unforeseen consequences of unthinking movement of plants. He is interested in invasive species and biocontrol and environmental change; particularly phenology (the study of cyclic and seasonal natural phenomena). He takes observational data from the natural world and uses it to understand the shift in biodiversity. ‘The sum total of our dependence and our experience of the world comes via biodiversity,’ he said. ‘We live in a world which sustains and enriches our lives – we’re at our happiest and sanest when we are in wonderful landscapes. Dr Spencer pointed out that this movement of species not only leads to non-natives outperforming natives, but it also dilutes cultural identity. ‘By moving things around the world we are taking successful species from one environment and putting them in another where they end up outperforming less successful species,’ he said. Dr Tijana Blanusa, a leading RHS scientist based at University of Reading, focused her talk on how specific plants can add to the environment in terms of benefits such as cooling, water capture, sequestration of pollution and biodiversity support. She also looked at how the application of science can help designers in their quest to select the right plant for the right place. 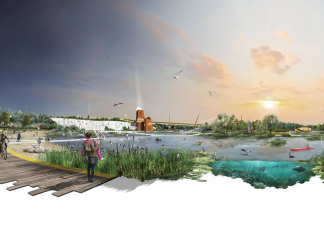 Anne Jaluzot, an urban planner specialising in green infrastructure and sustainable urban design, spoke about heat waves and how poorly understood they are in the UK in particular. She underlined how important it is that planners, builders and landscape architects understand how to mitigate and reduce the heat island effect in our cities otherwise heat-related deaths will be ‘dire’. Jaluzot looked in depth at Garibaldi Street in Lyon in France which until recently did not have a Mediterranean climate but now experiences a climate similar to Marseille in the 1940s. ‘Cities change fast; transport and infrastructure projects are a big delivery channel of change with budgets dedicated to it. Lyon is relevant to the UK – it has used trees as a means to an end not an end in themselves. Trees and plants are being used to deliver multiple specific benefits. There are specific health objectives in getting people to walk, cycle more, and clear transport objective and cooling objectives. There was an understanding right at the start of what they wanted from the planting scheme. Garden designer Jinny Blom set up her design practice in 2000 in London and has a portfolio of work in the UK, Europe, Africa, Middle East and the USA. Last year she became a board member of the Therapeutic Landscapes Network, an American not-for-profit organisation that provides information, education and inspiration about the relationship between health, well- being and landscapes. The interior garden at the Chelsea and Westminster designed by Blom is used within the hospital as a quiet space for the patients, staff and visitors to enjoy, and she said: ‘it’s been proven to improve cognitive function and is a fantastic place for patients who aren’t allowed or able to leave the hospital – this is a big group – and it has been used as part of their rehab.